She does not take any prisoners. She does not show any mercy. 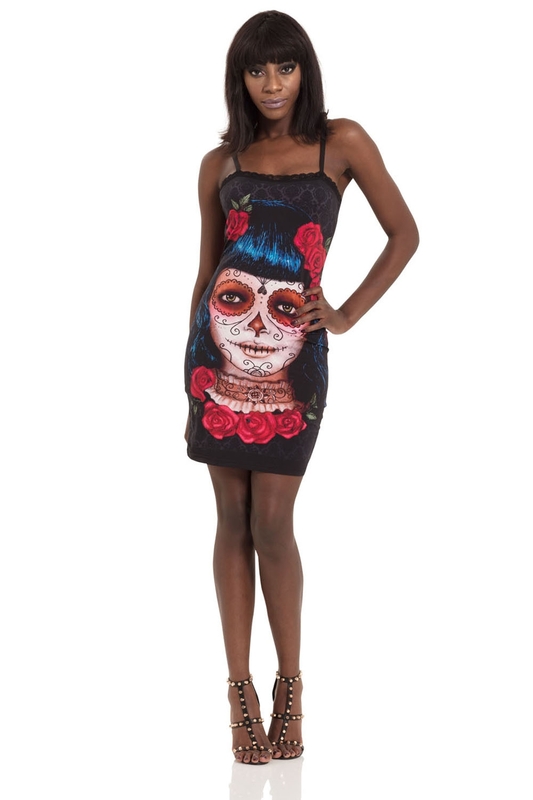 She will cut you down. 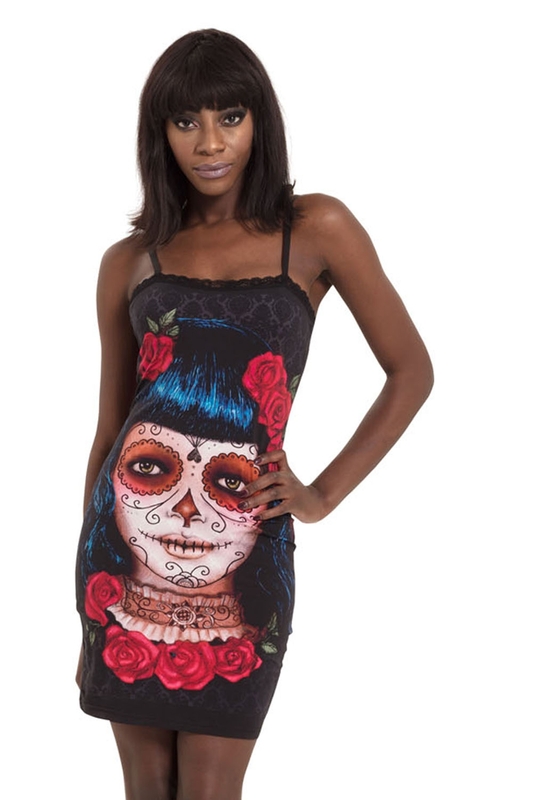 Strike fear into the heart of your foes with the Deadly Dame Dress.This simple fitted slip dress shape features a closeup Day of the Dead Mexican Dame print.